The rich texture of sand blasted glass gives you more than classic aesthetics. The sand blasting technique is used to obscure visibility through glass, but the glass continues to transmit light as it is diffused through the surface. Hence, it protects the privacy of people in a workplace or home without taking away openness and reflectiveness which are the best features of the medium of glass. 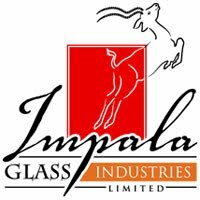 At Impala Glass Industries, Kenya, this process of blasting the surface of glass with grit using high-velocity steam or air, gives it a lovely, textured, milky white appearance. The depth and degree of the translucency of the sand-blasted finishing can be varied with the force and type of sand used. Only the areas that are to remain transparent are masked for protection—this may be in the form of fonts, designs or patterns. Sand carving carried out by blasting away the glass for longer periods to get layers of depth gives a surreal three-dimensional affect. The other option is using a computer aided cutter. The sand blasted glass manufactured by Impala Glass Industries in Kenya, East Africa, is popularly used by architects and interior designers as divider walls and partitions, windows, doors and shower surrounds. 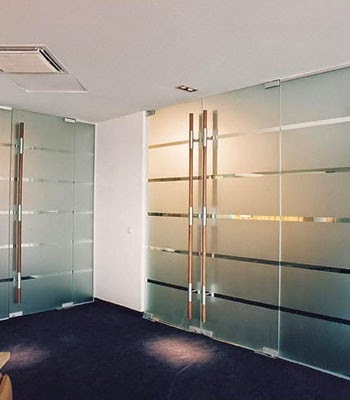 Sand blasted glass door and walls are preferred in commercial surroundings as it is an extremely attractive and practical solution to reduce the appearance of fingerprints or smudges on glass which is frequently touched. Add the elegance of sand blasted glass panels to your front door or that frosted look to your shower cubicle. Use it as your kitchen-dining area separator or hand basin backdrop! Enhance the aesthetics of the interior in your office or hotel lobbies or to give a practical yet elegant solution to your home—superior quality sand blasted glass manufactured by Impala Glass Industries is your answer! Visit us at www.impala.co.ke to view our complete range of glass manufacturing services.